The International Olympic Committee has had its headquarters on the shores of Lake Geneva for over a century. 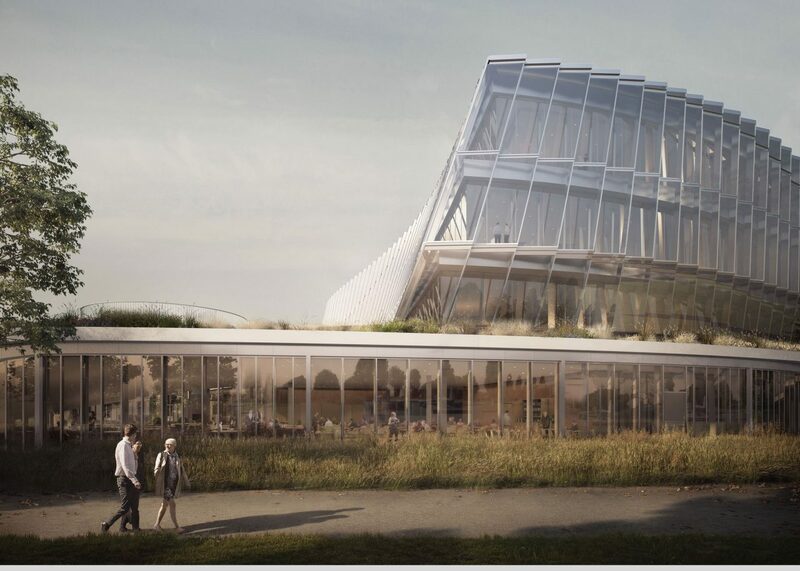 To mark 100 years of existence in Lausanne, the IOC is continuing to consolidate by building a new symbolic headquarters. The new building was determined by three key elements: movement, flexibility and future strategy. 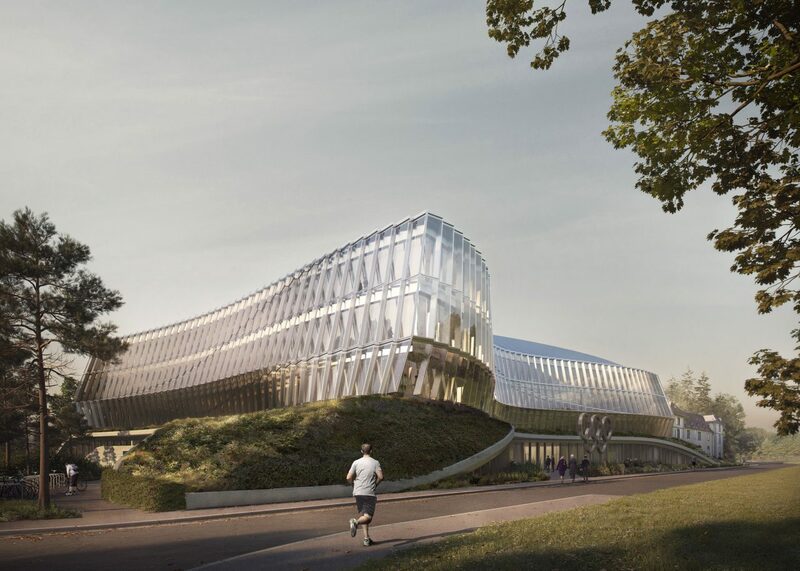 This is reflected in particular by the facades of the new headquarters, which appear to move like waves and thus symbolize the dynamics of sport and the Olympic Movement. The ground floor facades are a polygonal aluminum construction with a cassette curtain walling system. The expansive facade surfaces and a steel-glass roof construction flood the building with daylight. 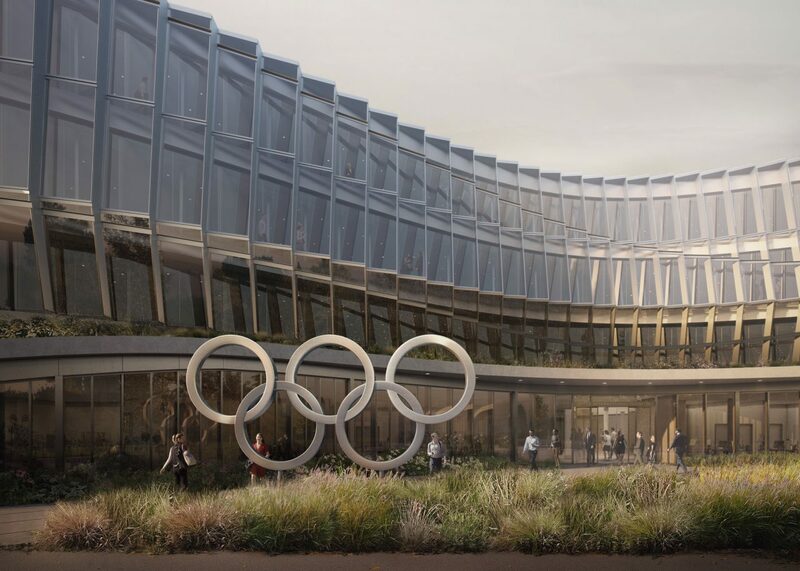 The new headquarters of the International Olympic Committee aspires to earn the internationally recognized LEED® Platinum seal.